Join Madi Lacey who is a delegate in the Miss North Ontario Regional Canada Pageant for a fun night of live music performed by a local Parry Sound artist Jeff Young, a large selection of locally sourced & donated silent auction items, hors-d’oeuvres, and incredible door prizes! Ticket includes complimentary hors-d’oeuvres & an entry to win one of the fabulous door prizes, with the option to donate to receive an additional entry. Tickets can be purchased from Madi Lacey via cash or etransfer. 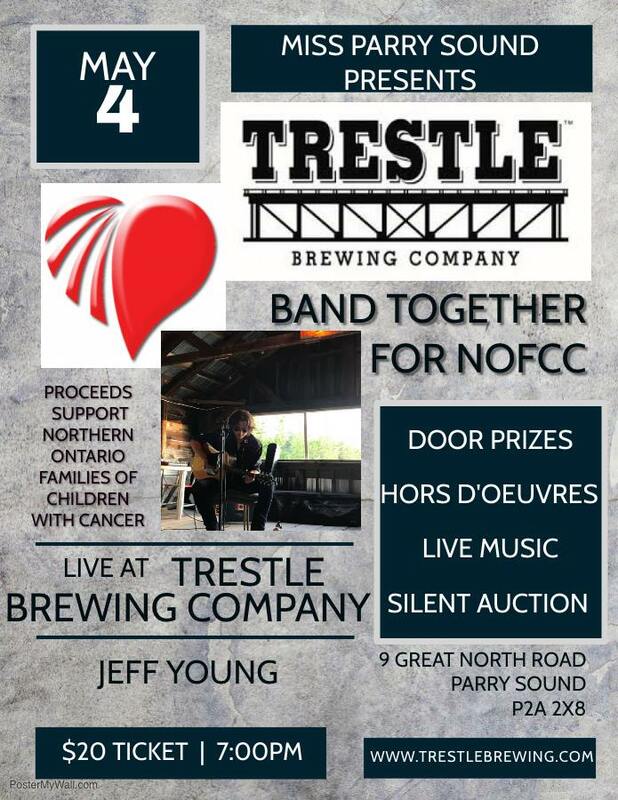 Tickets can also be purchased through the Trestle Brewing Company website.